In 1773, a wealthy Quaker merchant from London, England named Robert Clark launched an ambitious, idealistic settlement at the entrance to New London Bay on Prince Edward Island, at what is today the end of the Cape Road, in French River. He brought skilled Quaker tradespeople and their families to the wilderness of the 1770's with the dream of building a bustling commercial outpost on the doorstep of the new world. Clark named this settlement "New" London, after the city he had left. For almost twenty years New London survived and occasionally thrived, despite the harsh weather and living conditions of P.E.I. 's north shore, before colliding headlong with the realities of political and economic life in an infant colony during a time of war. 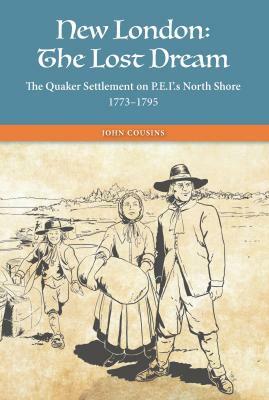 Drawing upon fresh sources and squeezing insight from existing accounts, author John cousins delivers this remarkable piece of Island history, little known until now. He recreates the life - and death - of New London and its Quaker settlers, complete with heroes and villans, hope and disenchantment, miscalculation and ill fortune, and provides a fascinating portrait of early British settlement on Prince Edward Island.